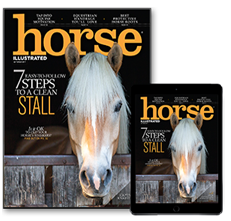 Every issue of Horse Illustrated brings you expert advice on horse care and riding, plus engaging reads about life with horses. Horse Illustrated Magazine is published 12 times per year. Non-US addresses, add $12 p/h for Print and Print + Digital Subscriptions. CVV is a new authentication scheme established by credit card companies to further efforts towards reducing fraud for Internet transactions. 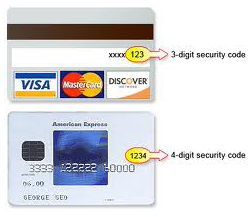 The Credit Card Validation Code is a 3 or 4 digit security code printed on the card. Your subscription will be automatically renewed unless you tell us to stop. Before the start of each renewal, you will be sent a reminder notice stating the term and renewal rate then in effect. If you do nothing, you authorize that your credit/debit card will be charged the amount on the notice or you will be sent an invoice for your subscription. You may cancel at any time by contacting customer service at 844-330-6373 and receive a full refund for unserved issues. Copyright © 2018 EG Media LLC. All rights reserved.